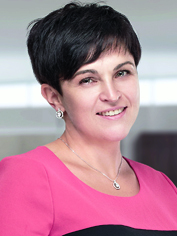 Sayenko Kharenko commands the largest team, a top-recognized international trade team led by partner Dr. Tatyana Slipachuk and counsel, head of practice group Nataliya Mykolska 1. In 2014, the firm extensively advised on WTO compliance matters and effective FTAs. In particular, the team advised a number of leading FMCG companies on Ukraine’s potential retaliatory measures in response to discriminatory measures of a trading partner; on CIS FTA having advised on whether the unilateral abolition of a free trade regime is in compliance with WTO law; advised on whether Ukraine’s new regulatory framework is in line with its obligations under the EU-Ukraine DCFTA. Moreover, the team worked on several trade remedies projects, and represented Ostchem Holding (part of Group DF) in the course of the sunset and interim reviews of anti-dumping measures against the imports of Russian ammonium nitrate. The team is currently representing the metallurgical division ofMetinvest Group in the anti-dumping investigation related to imports of Ukrainian bars into the Customs Union. The firm is traditionally visible with contractual structuring, franchising and distribution matters. Theinternational trade teamadvised one of the Ukrainian manufacturers on peculiarities of a tolling scheme; represented a world’s leading producer of chocolate in respect with potential termination of distribution relations with a Ukrainian distributor; advised one of the leading global rental services providers on restructuring franchising activities in Crimea due to changes in Crimea’s status. In the past year the team extensively advised on international trade regulatory matters, inter alia, sanctions by the Ministry of Economic Development and Trade of Ukraine. Anzhela Makhinova, associate, is recognized for her expertise in the areas of trade remedies, distribution and franchising, customs law, and other regulatory issues. Egorov Puginsky Afanasiev & Partners Ukraine was highly active in 2014, handling various international trade issues on behalf of a diverse roster of international and local clients. The trade team, as led by counsel Gleb Bialyi, represented a leading international chemical producer in court proceedings against the Ministry of Economy and Trade of Ukraine, Intergovernmental Commission on International Trade of Ukraine, challenging the latest ruling on implementation of an anti-dumping duty. Notable external highlight was acting for Ukrainian ferroalloy producers in anti-subsidy (countervailing) and anti-dumping investigations in the Customs Union against imports of ferrosilicomanganese from Ukraine. The firm’s team, as guided by partner Oksana Ilchenko, also advised one of the world’s leading farm equipment manufacturers on the structuring of a distribution arrangement with Ukrainian dealers. Attorneys’ Association Gestors retains high activity intrade remedies work. The firm is focused on domestic proceedings. For example, throughout 2013-2014 the trade team represented the interests of Russia’s largest producer of rubber products — Kurskrezinotehnika — under the anti-dumping investigation concerning import into Ukraine of rubber belts; represented PJSC Dobrush Porcelain Factory (Belarus) within the safeguard investigation concerning import of chinaware to Ukraine regardless of its country of origin. Currently the firm acts for Public Company GOMELGLASS (Belarus) in an interim review of anti-dumping measures concerning the import of float glass originating from Poland, Russian Federation and the Republic of Belarus into Ukraine. 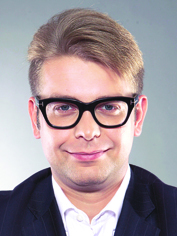 Jaroslav Snigur, associated partner, has strong expertise regarding the work of trade remedies in Ukraine. In 2014 AstapovLawyers international law group focused on advising on market access and export control issues, trade regimes and trade remedies. The firm is a point of choice for major Ukrainian and foreign corporate groups seeking representation in anti-dumping investigations. Of late the firm advised Liepājas Metalurgs on anti-dumping legislation in the US. Moreover, the team advised KVV Group on scrap metal trade barriers and export restrictions; Yablunevyy Dar (TM Galicia) on matters related to EU trade regime, free trade agreement, export market access. Another notable highlight is acting for Krym-Cement in a review of documents and advice on change of the trade regime in line with the change of the legal status of Crimea, as well as regulations of the Customs Union/Eurasian Economic Commission. Oleh Malskyy, partner of corporate and M&A, is traditionally involved in international trade work and supervises the practice of the group. Arzinger, with its regional network of offices is acclaimed for a broad range of contractual structuring, regulatory, customs, trade compliance and trade related disputes. The firm also actively advised on the implications of the EU – Ukraine Association Agreement, and on initiation of anti-dumping and safeguard investigations. A significant share of work pertained to clients’ requests regarding the situation after the annexation of Crimea. Arzinger established a cross-industrial task force “Crimea” that was enlisted for advice regarding the trade regime with the peninsula and implication of international sanctions. Selected clients of the team include Europolis CE Omikron Holding GmbH, Preston Investment Ltd, ContourGlobal, Porsche Ukraine, BSF Swissphoto AG, Yeves Roche Ukraine and others. The key figures are Markian Malskyy, partner, head of West-Ukrainian Branch, Andriy Selyutin, counsel, head of South-Ukrainian Branch, and Lana Sinichkina, partner. 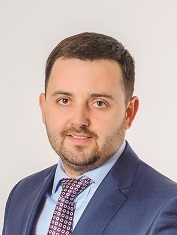 The trade practice of Volkov & Partners guided by Andrii Zablotskyi2, senior associate, has been seen across trade remedies, trade policy developments, and market access issues. His team advised a Russian float glass plant in connection with an interim review of anti-dumping measures on float glass import into Ukraine; successfully represented the interests of the Dryzkovskyi porcelain plant, Sumy porcelain plant and Dovbysh porcelain plant in safeguard investigations against imports of porcelain into Ukraine. The team’s focus on agriculture was illustrated by advising the Ukrainian Grain Association regarding the implications of signing the DCFTA on Ukraine’s agribusiness market, sanitary and phytosanitary measures on imports of grain in China, and cancellation of quarantine certificate turnover in Ukraine. Asters is enlisted for supporting export and import transactions, followed by broad advisory on tariff and non-tariff regulations, customs issues, trade regimes, contractual matters. The firm also acts on optimizing cross-border trade in goods and services and setting up comprehensive trade, distribution, manufacturing structures with a blanket range of regulatory, customs and tax issues. Recently the firm advised an international energy trader on various issues related to delivery and importation of natural gas, including agreements revisions, customs clearance and relevant documentary support. Tetiana Gryn joined the practice team as a senior associate. The practice is led by partners Igor Svechkar and Svitlana Chepurna. The Kiev office of Baker & McKenzie provides clients with advice regarding economic sanctions, WTO rules, export controls, contract structuring. Clients of the international firm include major industrials, financial services, IT, consumer products, pharmaceutical and energy companies. The practice team is led by two partners, namely Serhiy Chorny and Ihor Olekhov. Gvozdiy & Oberkovych advised on foreign economy activities and related tax and customs matters, often resulting in litigation. 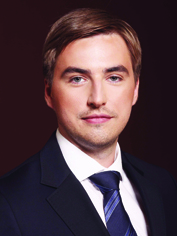 The team led by partner Valentyn Gvozdiy enjoys solid clientele in this area. Thus, the lawyers represented Reckitt Benckiser (Medkom MP) in the UAH 300 million dispute with the State Inspection of Ukraine for Prices Control regarding annulment of penalties; represented Azelis Ukraine, a Ukrainian subsidiary a leading global distributor of specialty chemicals, in a customs dispute on invalidation and cancellation of the body’s ruling with respect to customs value; represented Zara Ukraine in a dispute with the State Inspection of Ukraine on Protection of Consumer Rights on challenging the ruling and sanctions, imposed by the body. The key team members are senior associates Iryna Kalnytska acting for advisory matters and Natalia Mysnyk responsible for court dispute settlement. Gramatskiy & Partners is involved in supporting export and import transactions. The firm is experienced in contractual structuring for different items, ranging from agricultural commodities and up to technological equipment. The firm is often hired by international logistics, freight, stevedores, as well as traders, exporters and importers, and trade finance institutions. Ernest Gramatskiy is the key contact. ARBITRADE, a domestic firm with vivid focus on arbitration and litigation, continued to develop its practice in the soft commodities trade. Given the significant agricultural clients in the firm’s clientele, it is enlisted for subsequent legal support. For example, the firm provided full transactional support to EFKO for the purchase of Brazilian soybeans. 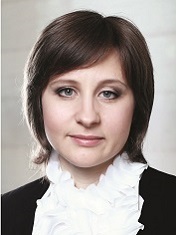 Partner Yuliya Chernykh is the main contact. Given many years work of servicing agricultural companies, AGA Partners has a stable presence in representing clients in various disputes arising out of their foreign economic activity. Aminat Suleymanova, Irina Moroz, Ivan Kasynyuk, Dmitry Koval make up the dedicated team. Jurimex Law Firm is vividly active in the agricultural and touristic field. For example, the firm advised DENVAL FRUIT on import and sale of fruits in Ukraine; Dutch Agrarian Company LLC on export and import operations. Marina Slobodnichenko supportedon an export contract for bio-fuel. Travel Professional Group and M.I.B.S. travel instruct the firm for specific regulations in this area. The Kharkov-based Kibenko, Onika & Partners is enlisted for high stake contractual structuring work. For example, the firm, as guided by managing partner Olena Kibenko, supported an international contract for the supply of three gas generators and spare parts to them from the United States to the UAE. The team of Sergii Koziakov & Partners received peers applause for international trade projects. Sergii Koziakov, who became the head of the High Qualification Commission of Judges of Ukraine, has a long-standing reputation in the Ukrainian trade community for his expertise. The Odessa-based Interlegal regularly acts on product liability, cargo damage claims and shipping related trade disputes. In 2014, FCLEX provided legal advice regarding compliance with currency legislation in payments under foreign trade contracts, handled legal risks assessment and proper solutions. 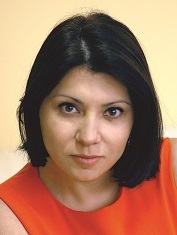 1 In April 2015 Nataliya Mykolska was appointed a Deputy Minister of Economic Development and Trade in Ukraine. 2 In February 2015 Andrii Zablotskyi joined Sayenko Kharenko.